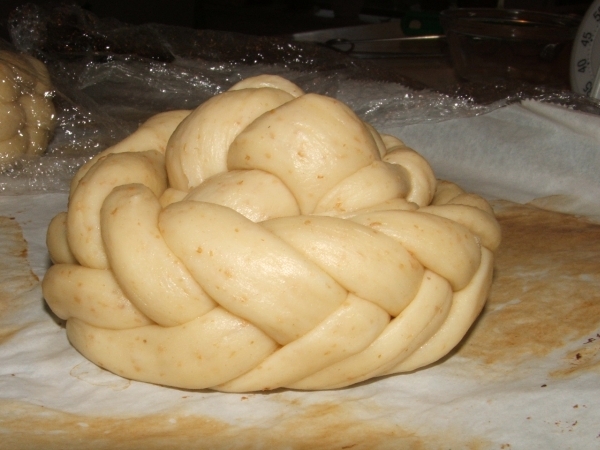 Braids: apricot (3-strand false braid) Banana Cinnamon (Russian braid) . 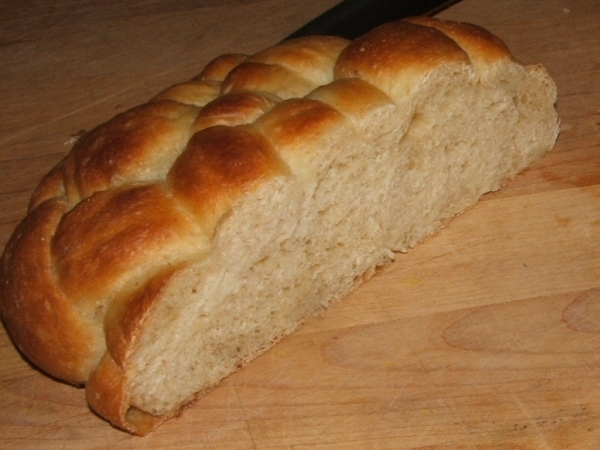 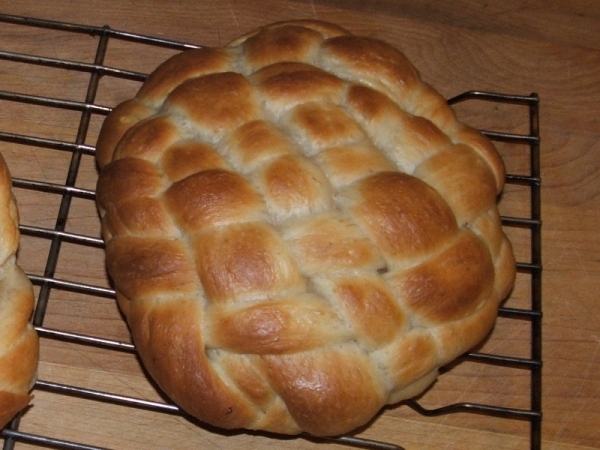 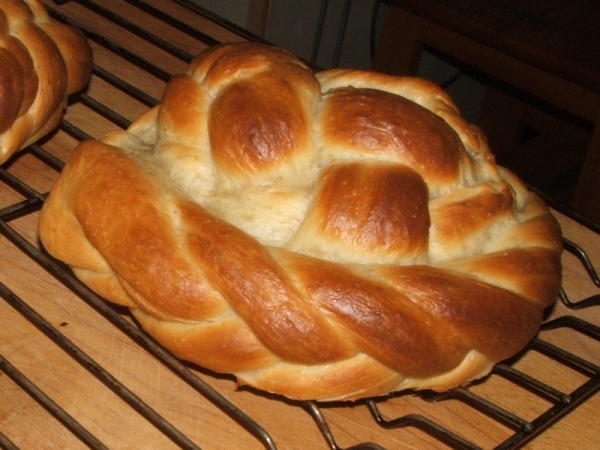 challah (5-strand braid) . 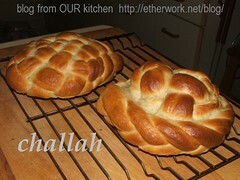 challah (6-strand braid) . 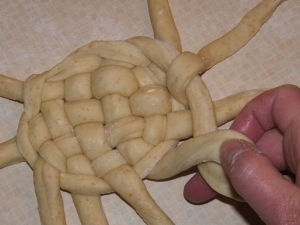 festive braid (6-strand braid) . 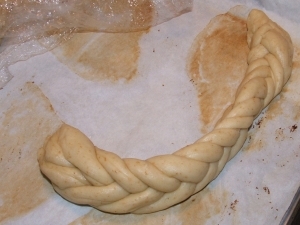 6 strand braiding . 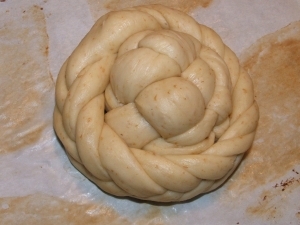 Russian Roses (BBB - Russian braid) . 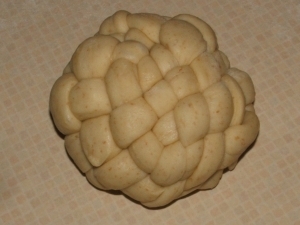 I think I may have gone slightly astray with the six strand straight braid and somehow managed to turn it into a three strand braid but even so, I think it still looks pretty nice. 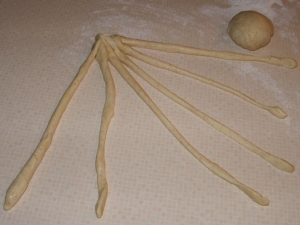 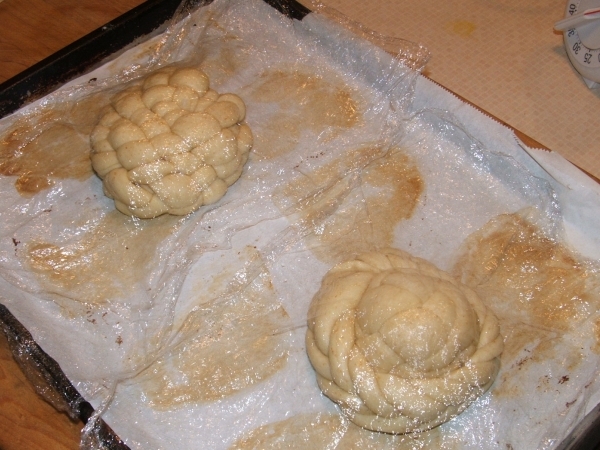 After braiding, I covered the rounds with plastic and allowed them to rise in the oven with only the light turned on. Just before baking, I brushed the rounds with a mixture of 10%cream and water, baked them for about 10 minutes then brushed them again with the remaining amount of cream/water. 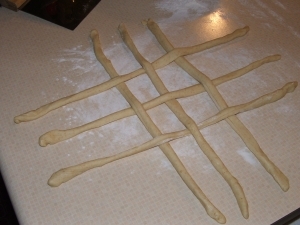 The final result was very pleasing. 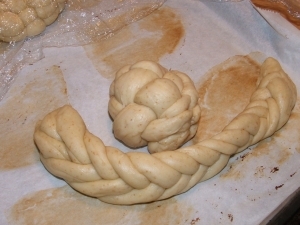 Here is the six strand round. 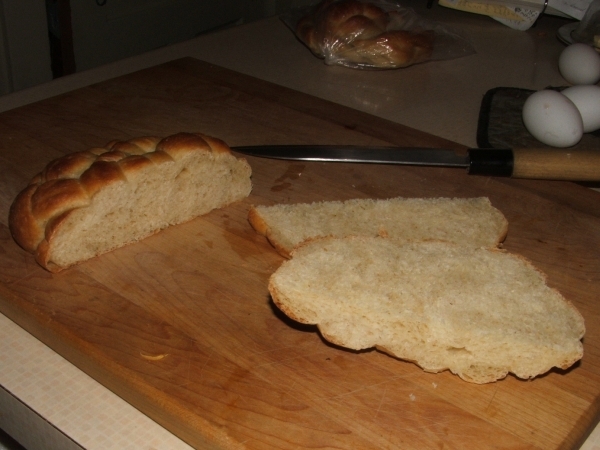 The bread was wonderfully soft and flavourful. 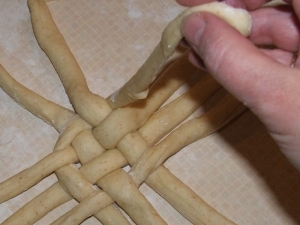 I've been given a big green light to make these again!